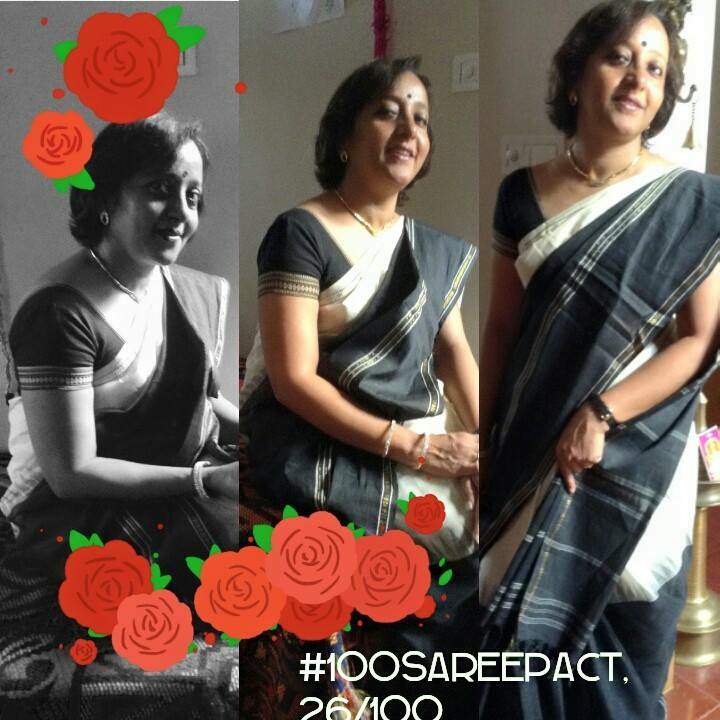 100sareepact | Successful Program ! A black and white number ends this week’s theme of white/off-white /beige / cream color. 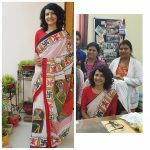 A Kanchipuram cotton in a kothuvaangi, traditional weave of a silk saree, a personal favorite of mine. Purchased at CKP a few years ago. Teamed with a simple gold coloured earrings and necklace and black and gold footwear. Celebrating on a high note, the end of a successful week. The leadership program was a resounding success. The roses in the pic, a reward to myself. — feeling fantastic with Raji Hari and 5 others.